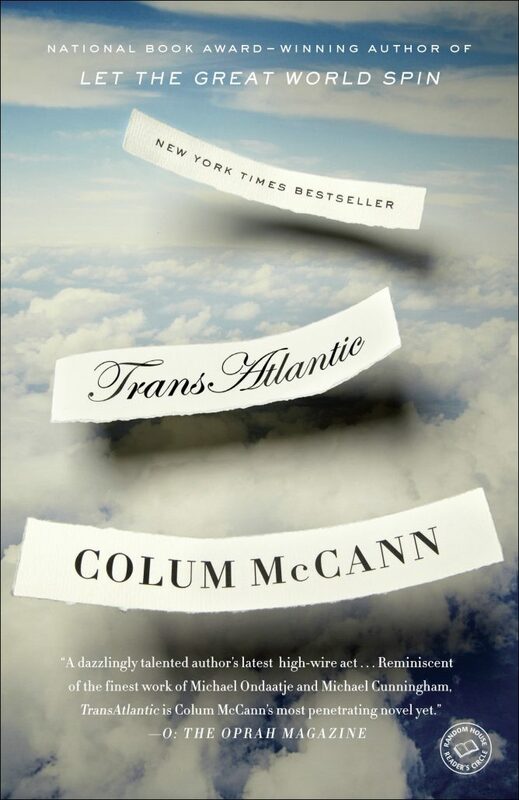 It’s only fitting that for our issue on firsts I’m writing my first book review, and it’s on Colum McCann’s TransAtlantic, a book that (among other things) tells the story of the first nonstop transatlantic flight. Like a lot of people approaching their first book review, I have no idea what I’m doing. So, for my sake, and for the sake of other would-be reviewers, I decided that, in addition to my review, I would compile a guide on writing book reviews. Never mind that I’ve never done this before; the fact that I’m on the Internet gives me the authority to tell you how to do things. Step 1: Pick a book. You wrote a pretty good essay about Ethan Frome in high school, right? Honestly, you could probably re-use that, and no one would notice (I mean, who actually reads book reviews?). But writing a book review is also a good excuse for you to read a new book, so try to pick something by an author who is still alive. Also try to pick someone more famous than you. Colum McCann is more famous than you. His book, TransAtlantic came out last year. It’s perfect. But can you really criticize Colum McCann? The guy is a Guggenheim fellow. He won the National Book Award. You, on the other hand, have never won anything (except, of course, the third place ribbon in the 7th grade science fair). Who are you to take on Colum McCann? That’s the beautiful thing about book reviews, though. McCann, with all his notoriety, now must answer to you, the lowly reader. You are the little guy, the everyman. You are a force for democracy in literature. Step 2: Get the book. Most publishers will send you free advance reader copies if you ask. Requesting a review copy will make you feel important. You’re a book reviewer, a taste-maker, a connoisseur of culture. You stand above the general reading public and dictate down to them what they should love or hate. This feeling will be diminished only slightly by the fact that Random House will never actually send you the review copy, and you won’t receive the book until months later, when your editor picks it up and mails it to you. Step 3. Read the book. First, find a comfortable spot to sit. No, the armchair won’t do—the back is too stiff, and it’s covered in dog fur. The couch is better. You can stretch across it, underneath the window. Don’t turn on the overhead light. Just let the natural sunlight break through the trees and spill across the page. Remember to take your shoes off: don’t drag dirt on the couch. It begins with a one-page section set in 2012. What’s this about? Gulls dropping shells on a house? Is this some kind of metaphor? Wait. “Squadrons of blue and grey”? Hopefully the Civil War won’t make an appearance in this book, or else that might seem like a ham-fisted reference. Now: The first line of Book I, “It was a modified bomber,” is a beautiful and subtle way to set up a theme about forging peace out of war, and it raises Alcock’s and Brown’s transatlantic flight from interesting story to potent metaphor that will preside over the entire novel (why did McCann waste time with that first seagull image?). The next two chapters, covering Frederick Douglass’ trip to Ireland and Sen. George Mitchell’s roles in the Good Friday Accords, are also engaging. At the same time, these chapters feel like a missed opportunity—McCann is well known for his gift of taking historic moments and illuminating them, making popular figures into living, breathing beings. Here, however, it feels like McCann might be shoving too much into one spot, and so much potential gets reduced to summary. Now the historic triad is over, and it isn’t clear where exactly McCann is headed. Page count-wise, you’re nearly half-way through, but what is the joining thread of this book? What is this book really about? Is it a book of juxtapositions? Is McCann performing some kind of literary jazz? But you trust him. You take his hand. You keep reading. In Book II, he throws you through time again. You end up reliving all three historical events from Book I, but instead of watching through the eyes of historical figures, you’re now working through the history of a fictional family living through these times. Lily Duggan, the matriarch, has a poignant section (there’s the Civil War, just as the seagulls promised), but after this, the historical events feel a bit like cameos. The book isn’t a Mobius strip; instead, it’s a series of separate strands. The connections McCann promises never really come to fruition. McCann is undeniably a great writer, and the idea driving TransAtlantic is powerful. While there is much to love in this book, it feels as though the concept is what you like best about it. Step 4. Write your review. What would happen if you gave a lukewarm review to Colum McCann? He could excommunicate you from all of literature. He could make Steve Almond break your writing hand. You could end up blacklisted from the New Yorker. To be fair, though, there’s a good chance that the New Yorker isn’t going to publish you anyway, and your novel is just scraps gathering dust while you spend all your time and energy writing things like book reviews and mediocre tweets. In the end, you have to be honest. You liked the book, you didn’t love it. That’s the way it goes sometimes. You’ll continue to read McCann’s books, to think about how he does what he does best, what you can learn from his storytelling triumphs and missteps. It turns out you like book reviews. You like to engage on this level with the literature of today. This is your first book review, and hopefully not your last.